Bespoke looks at the biggest changes that have transformed Tour de France race bikes over the years. 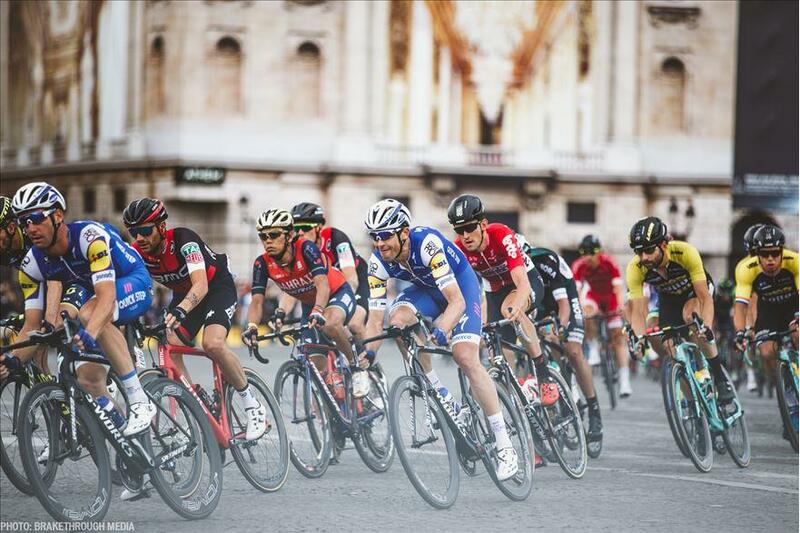 The bikes of the Tour de France might not grab the headlines like the exploits of the cyclists that pedal them in the world's biggest bicycle race, the Tour de France, but without the bikes, there would be no bike racing. And the bikes, they have changed aplenty over the years. From the skinny steel frames of the Eddy Merckx era to the ultra lightweight and aerodynamic carbon fibre frames raced by Chris Froome, the bikes have gone through an unbelievable transformation. Yet, despite the evolution of the bicycle from the black and white days to the highly scientific sport that cycle racing is today, the bikes still look pretty much the same. Because the UCI (the sports governing body) has enforced strict rules that govern the design and appearance of the bikes, all road bikes still retain the iconic double diamond shape. With no rules, one can only begin to imagine what bicycles would look like today. Probably much closer to the groundbreaking Lotus 108 used by Chris Boardman in the 1992 Olympics. The rules haven't prevented progress and rapid development, however, and bikes have changed an incredible amount over a couple of decades. Even the last few years has seen significant change. In this article, we're going to highlight some of the biggest developments that have helped transform the modern racing bicycle from the classic bikes raced throughout out most of the 20th Century. With the advances in frame materials and the introduction of carbon fibre, bikes went on a serious diet. The most advanced steel frames were light for the time. Eddy Merckx raced a bike weighing 9.6kg in 1972. Today the peloton races bikes weighing approximately 6.8kg, with frames weighing in the region of 700 to 900g - one of the lightest is the new Trek Emonda which weighs 640g for a size 56cm. To try and prevent bicycle manufacturers producing unsafe frames when carbon was first being explored, the UCI introduced a minimum weight limit of 6.8kg in 2000 to provide some sort of safety net. In the early days, bikes weren't getting close to this arbitrary weight limit - Lance Armstrong's Trek Madone SSLx in 2005 reportedly weighed 7kg. Close, but it was a prototype frame with some very special parts. 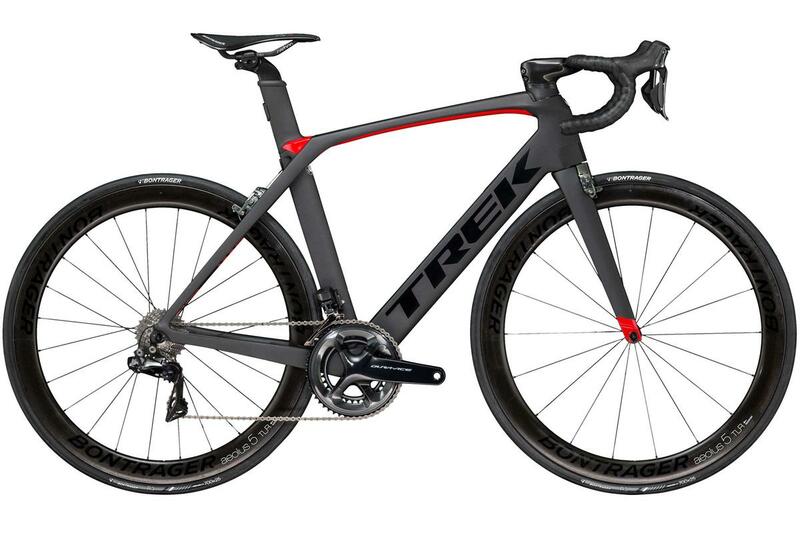 Today, with a frame like the Trek Emonda weighing just 640g and some very stock (but admittedly pricey) components like a Dura-Ace groupset, full carbon fibre wheels and nice, but not exotic one-off equipment, it's easy to get a bike that makes a mockery of the UCI's weight limit. 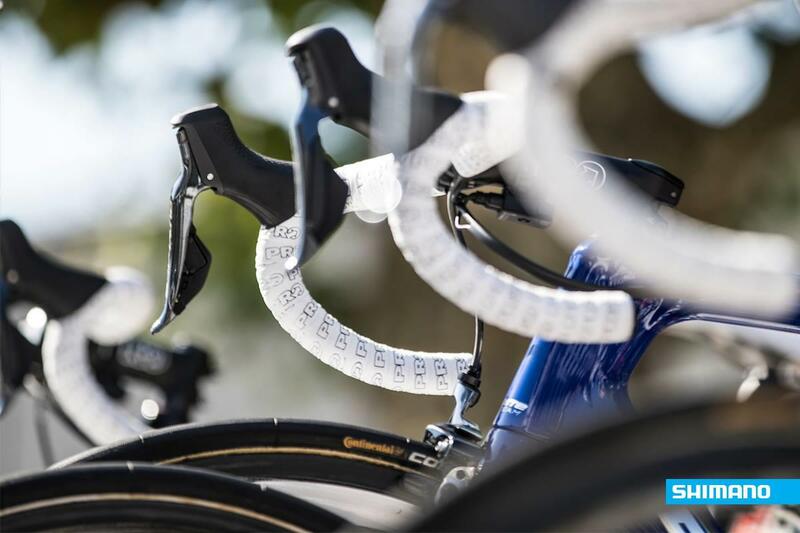 In fact, it's been commonplace over the years for team mechanics to add weights to frames to ensure they're not illegally light. The earliest Tour de France race bikes had very few gears. Today we have 22 gears to choose from. But the biggest change has not been in the increase of available gear ratios (hugely useful for combatting mountain climbs) but the switch from mechanical to electronic gears. For over a century derailleurs were operated by a lever pulling a metal cable. It was simple, light, easy to adjust and reliable. The march of progress, however, saw some manufacturers explore the possibility of replacing cables with wires, and Mavic was a pioneer with its Zap groupset, introduced in the 1992 Tour de France. It enjoyed limited success; Chris Boardman raced it in the 1994 and 1997 Tour de France prologues taking the yellow jersey on both occasions. But it wasn't without its problems and it was far from a commercial success. When Zap was shelved, it probably confirmed most cyclists views that electronics had no place in a bicycle drivetrain. That would all change in 2009 when Shimano introduced its first electronic groupset. Dubbed Di2, it was met with scepticism but it has since gone on to become massively popular and is now the most dominant groupset in the Tour de France. Cadel Evans was the first rider to win the Tour with Di2 in 2011, and in the 2017 Tour, the company proved its dominance in the Tour peloton - every stage and jersey was won by a rider using Shimano Dura-Ace Di2. Of course, Shimano's success does relate to the fact it sponsors more teams than its rivals put together. Shimano might not have been the first then, Mavic will always hold that crown, but it was Di2 that revolutionised the market and made electronic groupsets standard in the professional peloton. Campagnolo would soon follow with EPS, and some years later SRAM would also launch its first electronic groupset, with one significant difference; it was wireless. Again, Mavic had beat SRAM to it; the French company followed up ZAP with Mektronic, the world's first wireless bicycle drivetrain, but it never really caught on, and Mavic soon dropped the groupset and focused on what it does best, wheels. While bikes have gotten much lighter and stiffer over the years, another new area of development has transformed the bikes and equipment used in the Tour de France. Aerodynamics has become a real concern for every rider, team and sponsor, with millions invested in developing products that reduce drag. In a race where a victory can literally come down to the difference of 6mm, there's a lot to be gained from improving aerodynamic efficiency. Cervelo launched arguably the world's first aero road bike with the Soloist in 2002, and since then most bike brands have developed road bikes that offer some of the aerodynamic benefits of a time trial bike, with tube shapes designed to reduce drag and save the rider precious energy. Aero bikes are developing at a rapid rate, and some manufacturers have really gone to great lengths. 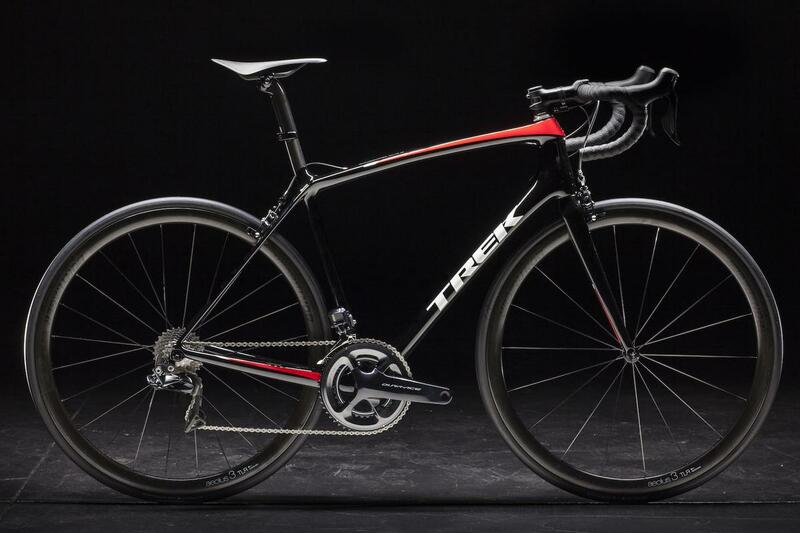 Just look at Trek's Madone with nifty integrated brake calipers and a one-piece handlebar and stem with all the cables and wires routed inside and going straight into the frame. It's not just the frames that have gotten more aero. Manufacturers have turned their attention to the clothing and equipment as well. Helmets were once designed to be as light and well ventilated as possible, but once both of those considerations were achieved, designers turned their attention to making helmets aerodynamic. 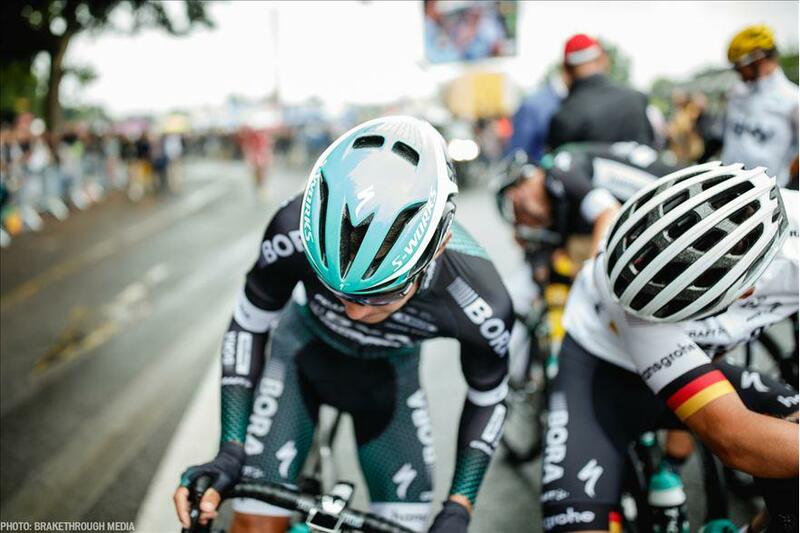 The latest trend is for a design that offers improved aerodynamics along with good ventilation, and the Kask Protone or Giro Synthe are two good examples of this approach. Clothing too has been the focus of the wind tunnel testing, because as the rider makes up some 80% of the overall air resistance a cyclist faces, there are considerable gains to be had. Close-fitting one-piece skinsuits are now common even on very long days and in the mountains too, and the latest trend is for carefully placed seams on the leading edge of the arms and shoulders to improve how the air flows over and around the body. The disc brake debate has been raging for a few years now, but Marcel Kittel became the first rider to ever win a Tour de France stage on a bike with disc brakes (a Specialized Venge ViAS Disc) and not only that, but he claimed five stages in total. Regardless of the pros and cons of disc brakes versus rim brakes, and whatever your stance on discs, it's clear that they didn't appear to do the German sprinter any harm in his five stage wins. Will this mark the turning point for disc brakes and will we see the entire peloton on disc brakes within the next five years? That's impossible to predict. What's clear is that it's a debate that is going to rumble on for some time. 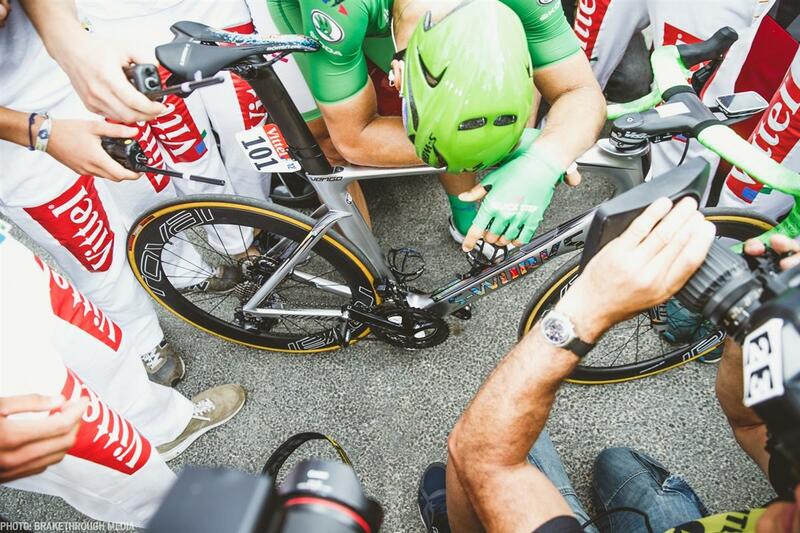 14 interesting tech observations from the Tour de France, from power meters to wheels and wide tyres.